For some people, vanilla ice cream can be a blank canvas. Add sweet or savory toppings, fruit or sauces. For a more health-conscious treat, add crumbled energy bars or oats. A lot of people eat their vanilla like that, we’ve learned over the years. They experiment with combinations until they achieve their own personal creamy, delicious perfection. 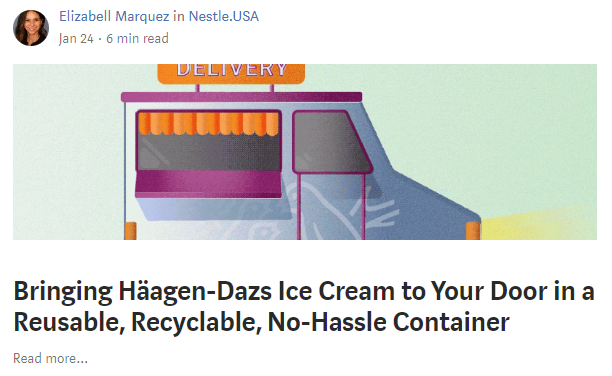 At Nestlé’s ice cream headquarters in Oakland, California, we do the same in the pursuit of great frozen products. We’re constantly bringing in all sorts of ingredients, putting them in or on top of ice cream and other frozen treats and seeing what we think. Spices you’d normally put in your chili? Why not try them in ice cream? The flavor combination surprised our taste buds, but it worked. What about sprinkling spices on a fruit bar? 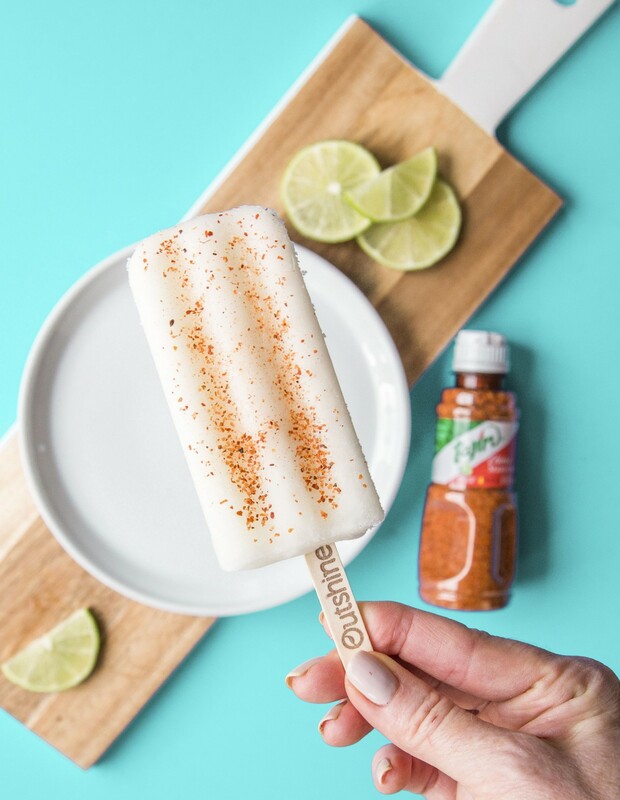 That taste test inspired a partnership between our Outshine fruit bars and Tajin, a Mexican company that makes a zesty seasoning made of chili peppers, lime, and salt. Our regular experiments showcase two ingredients we believe are vital for innovation: taking cues from consumers and learning from failure. Doctoring up vanilla ice cream, like people do at home, is just one way we’re constantly learning from ice cream fans. We do more than monitor trends. We’re laser focused on understanding our customers so we can learn what they want — and deliver it. One of our latest innovations does just that. For years, the ice cream container has stayed basically the same, even as flavors have become more and more adventurous. But we have learned an ice cream container is more than a vessel in which frozen treats travel from store to home. In many kitchens, the ice cream scoop and bowls sit idly in drawers while ice cream lovers eat straight from the container, which they might have to grip with their freezing hands. 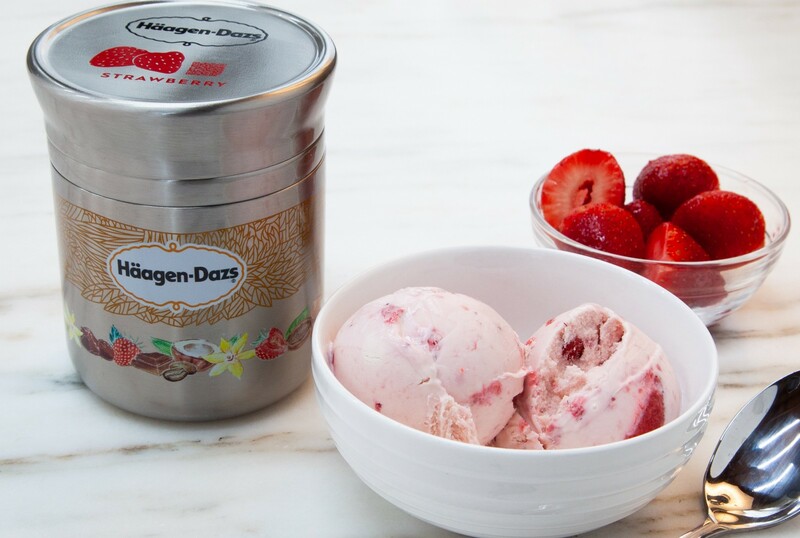 So Häagen-Dazs recently introduced a redesigned container that keeps ice cream cold and hands warm. The new double layered stainless steel container is part of a sustainability initiative, Project Loop, that delivers groceries, including ice cream, in reusable containers. Once empty, the containers are picked up, cleaned, and reused. It took 15 tries for us to develop the right kind of container for Project Loop. With each version, we learned, tinkered, and improved. Trial and error runs through all of our attempts at innovation. I learned early in my career that every failure brings an opportunity to learn something. A few years back, a new Häagen-Dazs line failed to catch on. For Häagen-Dazs Artisan, we had teamed up with culinary experts from across the country to make a variety of unique ice cream flavors, such as banana rum jam and Applewood smoked caramel almond. The taste was rich, creamy and delicious — but ultimately, the line didn’t mesh with consumers enough for us to keep producing it. Realizing we need to balance foodie trends with what broad numbers of people want, we went back to the drawing board. Our new line of alcohol infused ice creams, Häagen-Dazs Spirits — my favorite is the Stout Chocolate Pretzel Crunch — test-launched in Canada in 2017. The results were promising, and our taste-testers’ feedback helped us perfect the product even more. Our launch in the U.S. will include vegan plant-based options and a tasty Irish cream cookie square, a chocolate cookie topped with Irish cream infused ice cream, dipped in a dark chocolate. Landing on the perfect flavors required everything that we learned from our consumers, including earlier lines that didn’t work out. By the same token, we’re taking those learnings to partner with Tasty, known for their signature recipe videos that make cooking fun and accessible. Through our partnership, we’re pairing our expertise in making incredible ice cream with Tasty’s daring approach to recipe development to really shake up the ice cream aisle. 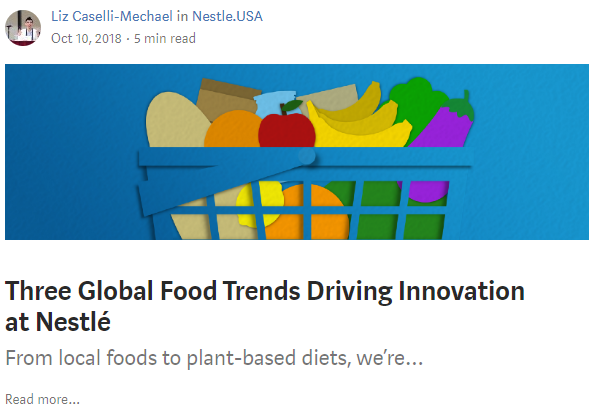 Want to be like a Nestlé ice cream innovator? Don’t stop at crumbling cookies on your scoop (even if it’s amazing with Nestlé Toll House). Go further past your comfort zone. Try a little dried seaweed and vanilla. And if it’s not for you, don’t fret. You’ve learned something new. And now you have a reason to scoop another bowl of ice cream.